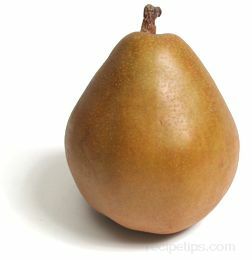 A short-necked variety of pear that originated in France. 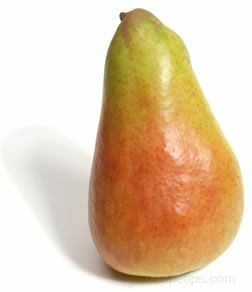 The green Anjou has a pale green skin that doesn't change color as the pear ripens, while the red Anjou has a deep red skin that darkens as it ripens. 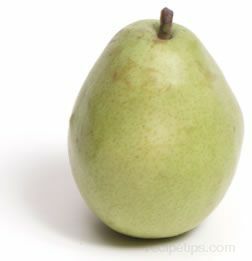 Anjou pears are less expensive than some of the other pear varieties, but they are also less flavorful, having a somewhat bland pear flavor. 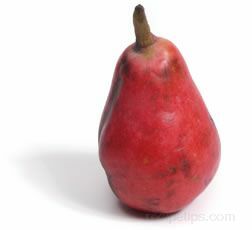 They are often used in baking various food dishes with pears.